Set List for When The Sun Hits on Strangeways Radio, Aired February 22, 2012. 2 hearts and chemicals. cathedral. 2 hearts and chemicals. coming home (miadis remix). lower heaven. today is all we have. my raining stars. no choice but to accept. sepatu usang. today is sunday. Strangeways Radio Blog: Shoegaze Spotlight - A Weekly Gaze. This Week: Astrobrite. This week's focus is on WTSH faves Astrobrite. We at WTSH adore Astrobrite and after reading this, so will you. Brought to you by Perry Pelonero and Kim Welsh (of Morpheme, bliss.city.east. and Skylight) - a "name your price" download that's for a good cause - so name your (rather high and awesome) price and pay up for a special cause that's close to all of our hearts. Cheers, all! Crash City Saints - "Council Of Elders" from Chris Wahamaki on Vimeo. Today: Keith Canisius Releases Save the Sharks EP. Download it from Bandcamp! Keith Canisius has been a busy guy as of late! He has just finished a 3 week tour in Denmark with his band The Holy Dreamers, and today his follow up EP2, entitled Save The Sharks, was released via bandcamp. You can download Save the Sharks at the very reasonable fee of "name your own price" - so get thyself to their bandcamp, pay the man and get yourself some good tunes! 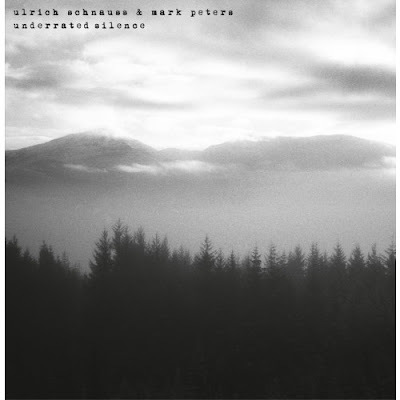 Album Review: Ulrich Schnauss and Mark Peters. Underrated Silence. There is not a single song in Ulrich Schnauss's discography that doesn't hint to some sense of underlying nostalgia. Looking all the way back even to his debut Far Away Trains Passing By, every track of his seems to be dipped in shoegaze haze and then underpinned by beats reminiscent of groups like The Black Dog and Tangerine Dream. Yet somehow by transporting shoegaze's ethereal qualities into the breadth only electronics can provide, his music escapes from sounding like a mere ghost from the past. Ulrich Schnauss' work has always been unique and otherworldly, and this fact alone is what has propelled him to be one of today's most important ambient producers. On his latest release, Underrated Silence, the master of electronic shoegaze pairs up with Engineers guitarist, Mark Peters. Though they have worked together for years (Schnauss plays the keyboards alongside Peters in Engineers), this album marks the first time the pair has released a work on their own. And right from the beginning, once the guitars and gloss of “The Messiah Is Falling” swoop you in, you know you're in for something completely different. The next track in question seems like the pair are directly nodding to Mum's Yesterday Is Dramatic, Today Is Okay. With the same brand of shuffling beats and twinkling music-box melodies that made the 2000 album so memorable – as well as an acoustic guitar hidden low in the mix – “Yesterday Didn't Exist” is possibly Underrated Silence's most stunning track. Like I said before, all the complexities of this album are quite amazing – most of the time. The few low points scattered across this album come from when the stylistic syntheses only comes off as a confusing textural friction. Take “Rosen I'm Asphalt” for example. The song begins with Schnauss churning out some filtered percussion and New Wave-style electronics. But as Peters enters with his guitar bends, though they first act as a kind of interesting rhythmic pendulum, the song eventually turns into a chaotic wall of sound. This aftertaste of confusion is also present on “Gift Horse's Mouth,” where a drawn-out guitar phrase tries to sneak into Schnauss's most complex production on the album. Adding a guitar to layers of drowned-out blips, plangent synths, and crunchy drum machines: really? Don't take me wrong. This album's still worthy of repeated listening despite its few weaknesses. In fact, let me end this review by shedding light on what I view to be the album's main theme: underrated silence. The meaning behind this title is quite cryptic, but it arguably plays a fundamental role in developing these ten songs. What Peters and Schnauss are insinuating here is not the beauty of total silence itself; they are merely talking about an inner quiet in the hope to remark upon and embrace those around you. And after all, this album is nothing but a portrayal of this idea. Underrated Silence blends the visions of two ambitious artists into one often beautiful experience, reminding us we don't have to be in a strangely isolated place to make music worth hearing. Over the past month or so, there's been a lot of talking, voting and writing about 'the best releases of 2011' in music communities everywhere online. And lots of really great albums were released over the past year, indeed. However, the self-titled debut album by the Stockholm based Swedish band Principe Valiente would most definitely stand as a completely obvious favorite on my own list, had I made one. The album was released October 2011 on the German label afmusic. Principe Valiente consits of band members Fernando Honorato (vocals, electric bass, keyboards, piano), Alexander Chlot (guitars) and Joakim Janthe (drums) and plays a totally breathtaking kind of shoegazy post-punk, based on the most awesome dark vocals and fast noisy guitars, building up an amazing whitenoise soundnami, literally sweeping me off my feet! The entire album feels like being thrown into some violently roaring river, caught by the currents and taken along for the ride! There's no way of fighting against this force, neither would I ever want to - this is white-river-white-noise-rafting at it's very best, and after the little soft piano intro opening the album, the second track “Before You Knew Me” gives the listener a pretty good hint of where we're going! And indeed, there was a time before, and after, getting to know Principe Valiente! Finding myself caught up in and hooked on the powers of this album, “Leave Them All Behind”, as another song is called, doesn't even seem too much of an ambition for this band. Reaching track four calls for my total surrender, well, if I hadn't completely surrendered already. “In Your Arms” is a literal outburst of high-flying post-punk amazingness, and the peak at 2:47 in this song simply never fails giving me goosebumps all over. Pure bliss and euphoria! Willingly trusting the post-punk-powers of Principe Valiente, I'm inevitably taken further and further down the raging stream, through the whirlpools, deeper, darker - and so high. There are so many layers in this sound, overwhelmingly overlapping one another, and yet the most beautiful dark light seems to be shining through at all times. Mid-album I'm given a brief chance to catch a short, calm breath of air, head above surface for a second in the eye of the whirlpool, before I'm once again hectically dragged along by the most powerful forces of breathtaking beautiful noise. Being beaten up by the beat, brain burst and soaked in sound, I must say that this is definitely one of the most amazing rivers I ever drowned in! I know this album was only released back in October 2011, which necessarily has to mean it's no more than three months old now – but it's already so much of a classic to me. I'm very pleased knowing Principe Valiente seem to be reaching far and beyond and out to so much more than just a Scandinavian audience, and it's really nice knowing they're being played regularly at fx. the awesome Shimmer club in Chicago, and that the music video for “The Night" has been rotating on German television. Very well deserved indeed! And I have to agree, especially since it's often a very individual exactly what people read into specific genre words, why they're easily simplifying great music. However, I'll take my chances on calling this 'shoegazy post-punk', and should I compare Principe Valiente's sound to the sound of others, I'd mention bands such as fx. The KVB, Sisters of Mercy, Bahnhof and Fjord Rowboat – and more than once reaching the dizzying hights of amazingly desperate Death by kite-ish guitars! Indeed, I must say I agree on the 'breaking new sonic sound' – even though all music more or less necessarily comes from somewhere and the fact that we're all receiving tons of impacts all the time just by being around and alive, this album's most definitely adding something new and fabulous to the scene, and realize I really need to get a physical copy of this album – just to possess it, you know. And though I'm indeed Dancing Like There's No Tomorrow while listening to this stunning album, in the same time I'm also impatiently awaiting many more dazzling releases from Principe Valiente in the years to come! Stream and Download the Deep Cut Insanity Remix of The Megaphonic Thrift's track "Tune Your Mind"
You can now stream and download via Soundcloud The Megathonic Thrift's track "Tune Your Mind" (Deep Cut Insanity Remix)! You should probably go do that. 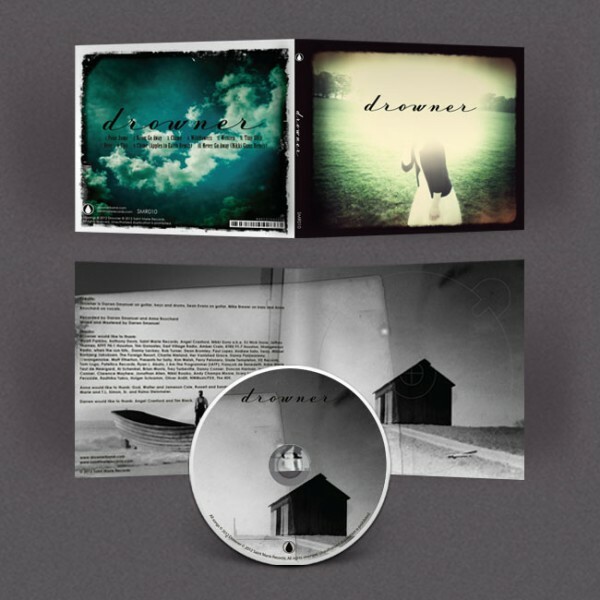 Pre-Order Drowner's Upcoming Self Titled LP via Saint Marie Records + awesome Drowner merch available! Drowner's highly anticipated upcoming self-titled LP is now available for pre-order via Saint Marie Records. The release date is 3/13/2012, but if you pre-order, your disc will be shipped prior to the release date. Win. 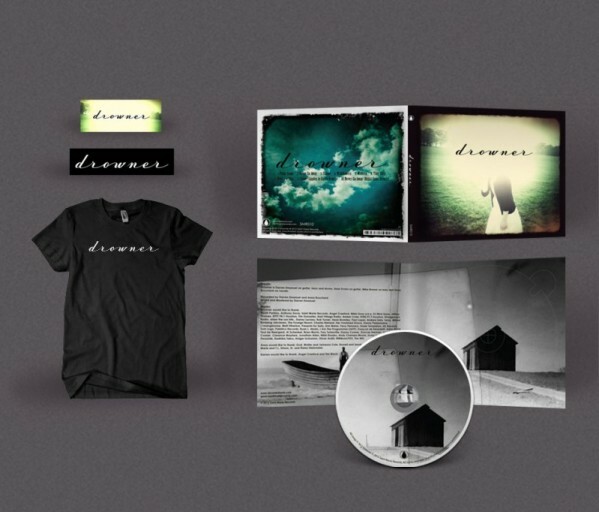 Pre-Orders are now being taken for awesome bundles of Drowner merch to accompany the release of the 4 panel digipak cd of their upcoming self-titled LP via Saint Marie Records. I don't know about you, but I seriously want a Drowner t-shirt. As above, the release date for the album is 3/13/2012, but if you pre-order your bundle will be shipped prior to release date. Sweet. Strangeways Radio Blog: Shoegaze Spotlight. This Week: lovesliescrushing. The second edition went up today, and the focus is on WTSH faves lovesliescrushing. We at WTSH adore lovesliescrushing and after reading this, so will you. 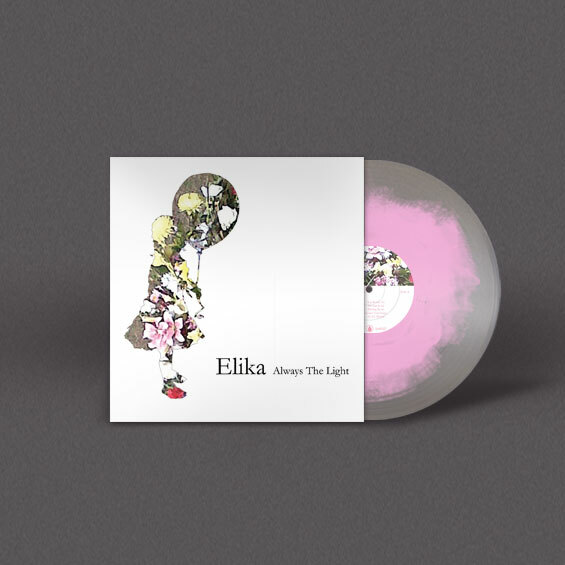 Pre-Order Elika's Upcoming LP, Always the Light, via Saint Marie Records! Elika's Always the Light will be released in a mere couple of weeks, but we recommend checking out the Saint Marie Records website to PRE-ORDER this amazing new album, as well as check out several bundle options you can choose from that have some sweet swag in them! 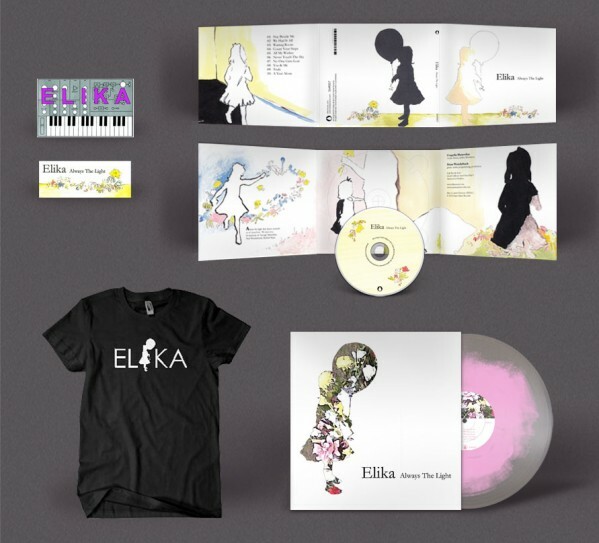 You are looking at the TOP bundle for Elika's Always The Light! You are wise beyond your years. Live Video: Resplandor. Oeste. Venue: Nebula Club 2011. On Airs's first release, the 2010 EP Joyless, the San Francisco-based duo showed us a world of sound far different from their previous black metal instrumentals. In just five tracks, from the the poppy shoegaze of “Joyless” to the blissed-out metal of “Ende der Ewigkeit kommt in der Nacht,” Joyless threw us into a storm of emotions. We were tossed between introspective sensitivity and roaring aggression, hushed beauty and staggering power. But as the group further explored this affinity for juxtaposition on their debut full-length, Rainclouds Over the Remains of Hope, the reasoning behind this stern aesthetic choice became much more clear. We saw how the often dizzying shift between genres is not meant to confuse; in fact, it's meant to do the exact opposite. Airs's motive is merely to elucidate the emotions spurred by different styles of music, to illuminate their own peculiar beauties through stark contrast. Listening to their new double-album, Gloomlights, Airs's chosen mediums to convey this message – pop and black metal – are stronger than ever. What we encounter on eighteen tracks clocking up to nearly two-hours is an evolution of the formula calculated on Joyless. The album opens with the epic track, “Harvest Moon,” that in nine minutes splices through the tones and tonalities of post-rock, shoegaze, and black metal. Layers of guitars lead the song into a territory of calming beauty until spectral singing and effect-laden guitars build up a wall of feedback, ushering in an interlude of pummeling drums and rapid riffs so loud it gives you a headache. On the rest of the album the band shows no shame in embracing their influences. Listen to “Scott Pilgrim vs. You,”and the deafening feedback, grunge-like chords, and scratchy vocals sound like the sonic child of Dinosaur Jr. and Pains of Being Pure at Heart. Listen to “Hollow,” and the catchy riffs, processed drums, and hallucinatory fuzzed-out synths scream early Depeche Mode. But if synth pop and alternative rock doesn't satisfy your pop craving, listen to “Knee In the Dead”'s early Jesus & Mary Chain-like noisy, foot-stomping melodies and you'll be guaranteed satisfaction. The second half of Gloomlights, however, abandons Airs's leanings for nostalgic pop. Most of the tracks are of a similar vein to “Harvest Moon” – epic songs built upon Alcest-like classical arrangements and waves of feedback. “Ghost” takes us into a wonderland of metronomic drums, blurring reverb, and simple guitar phrases ebbing through the noise. “Velvet” opens with slow doom metal chords that break into arguably the album's most powerful chorus yet. Its hypnotic guitars and shuffling beats underpin Aaron's whispered vocals that, despite spurring our lyrics like “The can destroy us/ Then can eat us alive,” still radiate beauty from every pore. Gloomlights has many flaws. It adds few new sounds to Airs's repertoire, and too often its tracks come off as only hyper-loaded genre deconstructions. 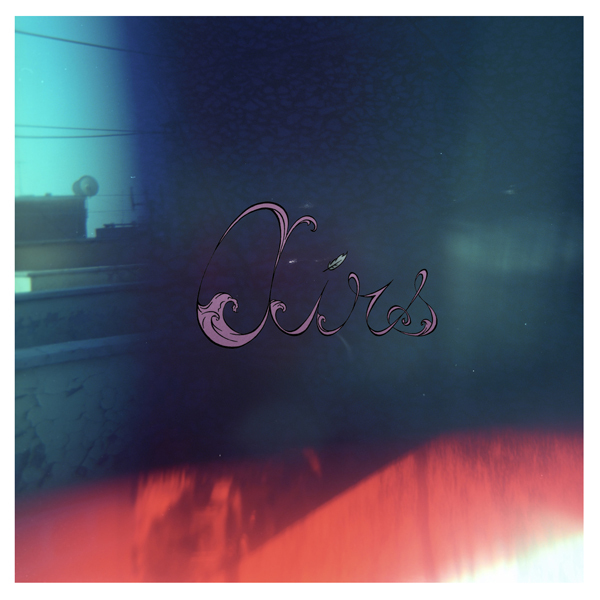 But despite such shortcomings, there's still something oddly intriguing about Airs's new album. Its tactic of moving through half-sequenced movements in each song creates an uncommon alertness, a slight sense of disorientation as if wandering through someone else's dream. We listeners feel as if we're gaining access to a world that is secret and unique to the songwriters –an intimate setting where even though the trials and tribulations of suffering linger, beauty is the true running force behind it all. Album Review: Sun Devoured Earth. The Sunshine Always Fades. Album Title: The Sunshine Always Fades. Stream it / Buy It: Bandcamp. Sun Devoured Earth. It's hard to imagine art capable of living up to such a strong, enigmatic title. But somehow with a peculiar breed of “black metal shoegaze,” Vadim Vasilyev's music does exactly so. Ever since he gave birth to the project which would dominate his life, his aesthetic has never fallen short. His work may traverse through different genres and styles, but the voices of the two muses who guide his vision – sadness and nostalgia – are always there. Without a doubt the muses' voices ring louder than ever on the 2011 full-length, The Sunshine Always Fades. All of the song titles from “I'm Bored of Living” to “Melancholy” are portraits of his undying demons and unyielding pain. Take the opening track: “The Wind.” Rapid tremolo pickings are paired against reverb-trailed arpeggios. There are no vocals, no discernible rhythms, no melodies. 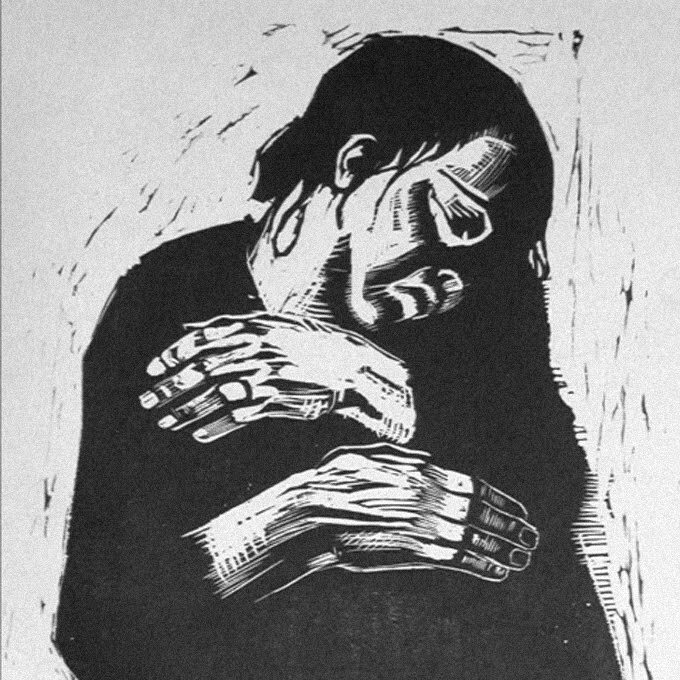 Yet even in this abstract two-minute opener, depression engulfs us. We are pulled into Vasilyev's inner suffering as he paints an image of the sun fading into an impenetrable mist, the album title's meaning coming full circle. However, by no means does this album wholly depend upon abstract imagery; plenty of tracks teem with a discernible beauty and power. “Emptiness” throws us into the dark alleyways of Latvia with echoing thunders, ambient touches, and a wall of distorted feedback which reminds us of Sun Devoured Earth's “black-metal shoegaze” title. “Crashes Down” continues the fashion of metal surely more fit for daydreaming than headbanging. The song features subtle washes of white noise, simple drum patterns, and post-rock guitar lines, over which Vasilyev whispers nihilistic lyrics like: “God please give me a sign/ I can't handle this life on my own” that resonate like an arrow to the heart. The songs of The Sunshine Always Fades have no end and no beginning. The album as a whole merely throws us into some inescapable dark Eastern European world. This sense of infinity induces a seemingly everlasting trance while somehow still allowing room for each track to build a startling allure all its own. Vadim Vasilyev's music may conjure the title of black-metal shoegaze, but no artist supplements the power of black metal with the beauty of shoegaze as well as Sun Devoured Earth. A formula he may grow off of, but a formula he does not fall victim to. 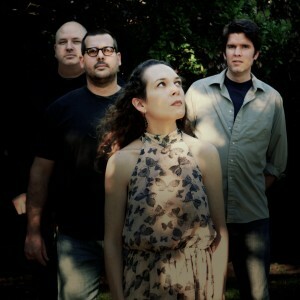 Strangeways Radio Blog: Shoegaze Spotlight - A Weekly Gaze. This Week: Ceremony. When The Sun Hits and Strangeways Radio are uniting on yet another level - activate the weekly Shoegaze Spotlight! Every weekWTSH will present a shoegaze/dream pop band on Strangeways' blog, highlighting how very awesome the band is and how you should be listening to them and buying their music and supporting them because they deserve it. The second edition went up today, and the focus is on WTSH faves Ceremony. We at WTSH adore Sway and after reading this, so will you. Expect to hear The Rainy Saturdays, Skylight, Engineers...! And much more. Over two decades have passed, but Windy & Carl still reign as one of the ambient scene's leading stars. The duo's career arose in the early nineties out of shoegaze's golden age and of Michigan's humble origins as a space rock oasis. But despite being linked to such a collective period, Windy & Carl emerged from the hype with a sound all their own. No band has yet to match their shivering, glittering guitars; no band probably ever will. Because in the sixteen years since their debut, Portals, the couple's vision has not changed. It has only evolved within itself, exploring its peripherals, constantly self reflecting. From the first moments of their eighth album, We Will Always Be, the couple's maturity resonates loud and clear. The whirlwind of a song, “For Rosa,” opens with bands of static lost in a decayed hiss, out of which emerges the strumming of an acoustic guitar. This fusion of the natural and otherworldly continues with “Remember” . A glistening guitar carries out a droning riff, while Windy's spectral voice guides the song into a realm of pure beauty. However, no track displays the couple's abilities more than “Nature of Memory.” It opens with a tide of delay, over which a wavering, pulsing bass surfaces. As more and more layers of guitars unravel, a spoken word segment by Windy begins. Cryptic lines like “Trees with a story, there is sound,” alongside clicks of telephones and other bizarre noises, give the song a strange feeling. You imagine some familiar place – a field blanketed in snow, a lake shielded in ice – but the electronics and processed guitars keep you levitated in some heavenly dimension. It's this paradox which defines the duo's work, and reveals them at an artistic peak few reach. A couple of months ago, Windy & Carl posted on Facebook that the driving force behind their musical explorations is how: “Together we have a world no one else really knows... And of course, at the heart of it all, is music. Making music. Creating this other world.” Listening to their newest release, this sentimentality shines brighter than ever. The album's artwork, lyrics, and strangely organic tones all have their place. Just view the theme of nature's eternality as a platform for the couple's boundless expression of their love, and the album echos with new found meaning. Nature will always be; we will always be. 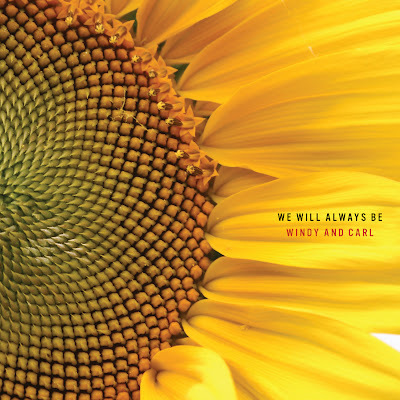 While We Will Always Be pays tribute to the flowers of their relationship, Windy & Carl's ethereal and loose songwriting leaves space for a universally personal experience. Their work demands so little from the listener – something which constantly amazes me about their work. You can keep yourself grounded, letting the sounds flow into the background. 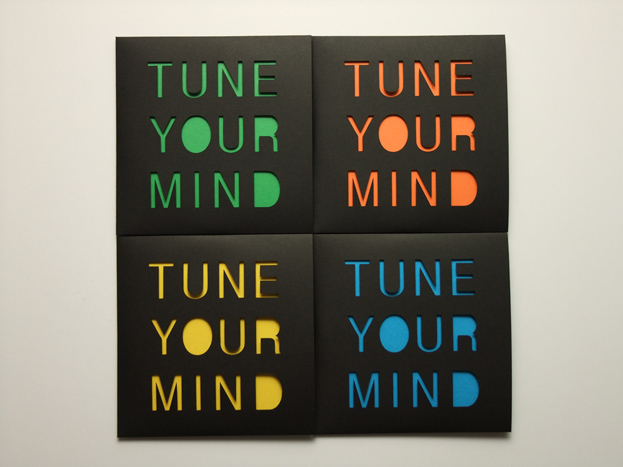 It can be the soundtrack for your morning commute, it can open the door to your daydreams. But if you dare to stick your head into the clouds, breath in every note and sound, a world of surreal beauty and subtle complexities will reel you in, releasing a host of angels onto this earthly plane. 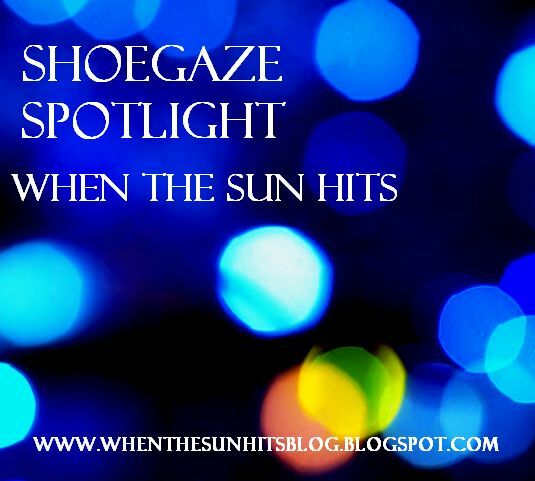 Strangeways Radio Blog: Shoegaze Spotlight - A Weekly Gaze. This Week: Sway. The second edition went up today, and the focus is on WTSH faves Sway. We at WTSH adore Sway and after reading this, so will you.